Lifting Serum, 1 fl. oz. Day Cream Sunscreen Broad Spectrum SPF 30*, 1.7 oz. Night Treatment With Retinol, 1.7 oz. Eye Renewal Cream, .5 oz. Restore what was lost and lift away the years with this scientifically innovative regimen that proves it’s never too late to help rescue skin from the damage of the past and recapture a vision of youthfulness. The look of deep lines and wrinkles is reduced. Lifted facial contours appear restored. Even skin tone is revealed. The TimeWise Repair® regimen fights the advanced signs of aging, including loss of skin volume and loss of firmness, two of the most visible signs of advanced skin aging. Every product in this advanced age-fighting regimen contains the exclusive Volu-Firm® Complex, which features plant stem cells, Tripeptide 1 and a skin volume-supporting peptide. TimeWise Repair® combines extensive research, innovative ingredients and comprehensive testing to deliver the benefits that target the advanced signs of skin aging. Think of it as a new beginning for your skin. Suitable for all skin types. Tripeptide 1, a specialized peptide. 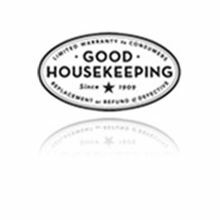 The TimeWise Repair® Volu-Firm® Set has earned the Good Housekeeping Seal after evaluation or review by the experts at the Good Housekeeping Research Institute. TimeWise Repair® is backed by the most comprehensive consumer and clinical testing of any new Mary Kay® product to date. More than 65 clinical, consumer and safety studies involving more than 3,000 panelists were conducted, and the results speak for themselves. 91% Had less noticeable deep lines and wrinkles. 86% Had skin that looked lifted. 98% Had less undereye puffiness. 93% Had skin that looked more even toned. 93% Had a significant improvement in overall appearance. 86% Had a decrease in the appearance of average wrinkle length. 81% Had a decrease in the appearance of average wrinkle width. †Results based on a 12-week independent clinical study. The percentages reflect the number of women who showed improvement.